When I say this is a family favorite, I mean this is literally the dish I think everyone in my family would pick as their #1 pick from my mom's arsenol. And that's saying a lot because both her and my dad are really good cooks. To be honest I think this might have actaully started out as a dish my dad made and taught to my mom, and while he is certainly capable (as we all are now) at making it, it's usually thought of as her specialty. It's filling and hearty but hey it's vegetarian (#meatlessmonday anyone??) It's a little time consuming but the final result is so well worth it becuase I've never in myt life, and trust me I've ordered it a lot, had a better eggplant parm. As I mentioned in this post, I have had a really hard time with cooking, and especially vegetables, in the first tri-mester so when, at 12.5 week's, I was suddenly interested in cooking it I figured I should hop on it. 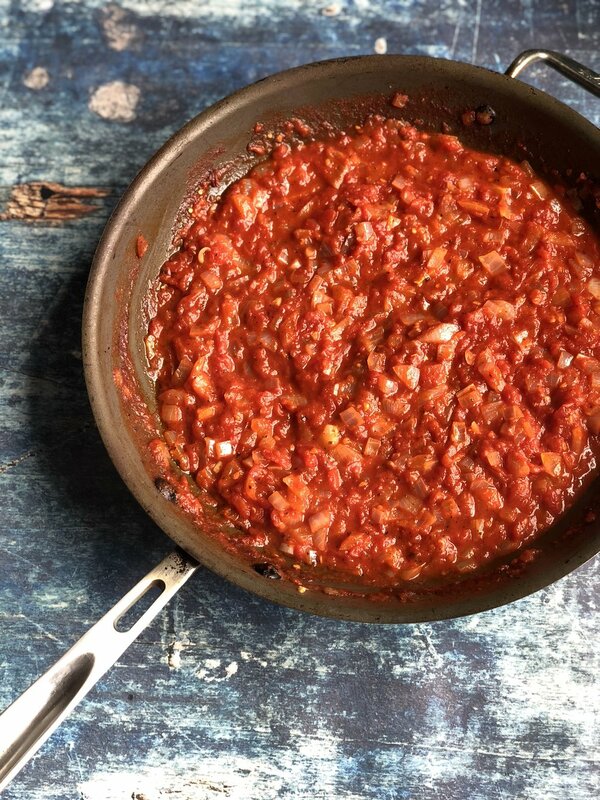 I originally planned to be a little lazy and use a store bought sauce but after taste testing I wasn't pleased so quickly whipped up a batch of homemade sauce instead using an onion, a large can of whole peeled tomatoes and a few dried herbs. This made 6 servings and let me tell you the leftovers only get more delicious! 1/2 - 3/4lb Whole Milk Mozzarella (ok it CANNOT be fresh mozz and you want it to be Whole Milk not Skim. 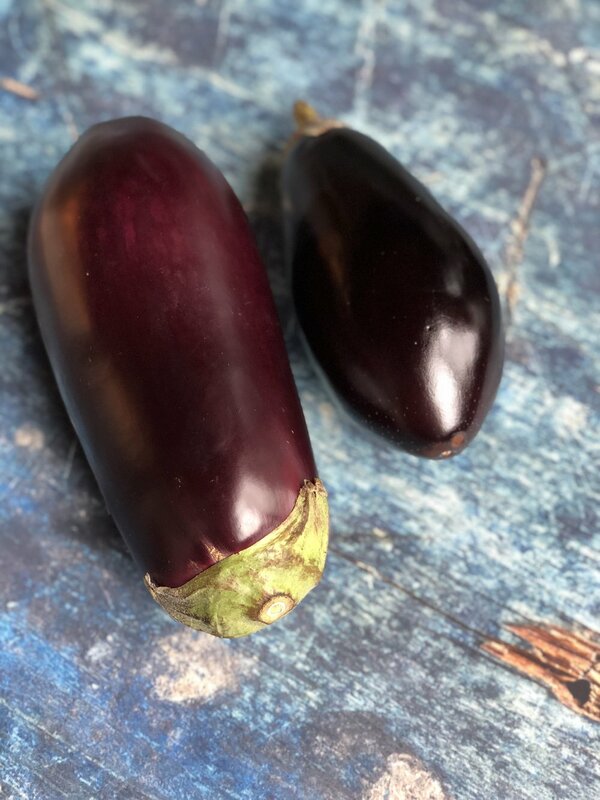 Usually Polly-O makes one but I couldn’t find it at my store so I had to buy a block of it and then just cut it into rounds or rectangles about the size of each eggplant slice. Absolute worst case you get shredded mozzarella. Put the beaten eggs into one shallow bowl and the breadcrumbs into another. Then add a layer of eggplant, a layer of mozz, a layer of sauce and a sprinkle of Parmesan. Repeat (usually 2-3 layers depending on how much you have). Not the actual quantities, just an idea of what you need - notice the sliced mozz in the top right corner! The set-up... my eggwash/dredging/frying station!